This fictionalised portrait of Joyce's youth is one of the most vivid accounts of the growth from childhood to adulthood. Dublin at the turn of the century provides the backdrop as Stephen Dedalus moves from town and society, towards the irrevocable decision to leave. It was the decision made by Joyce himself which resulted in the mature novels Ulysses and Finnegans Wake. 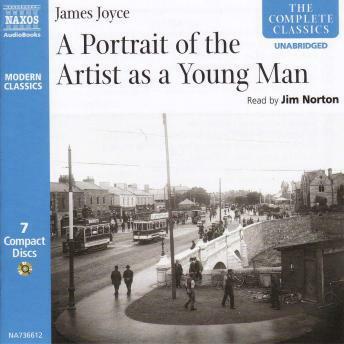 Read unabridged by the incomparable Joyce expert, Jim Norton.